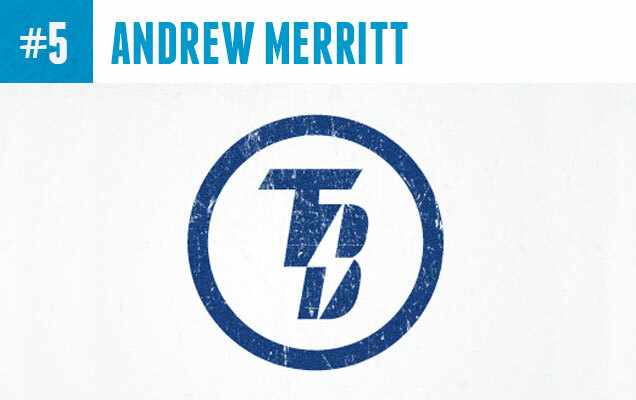 This minimalist rendering of the TB initials works pretty nicely with the lightning bolt in the negative space of the letter ‘B’. This logo is a good reminder that modern sports branding doesn’t necessarily have to be as high-concept as the Minnesota Wild logo strives for. 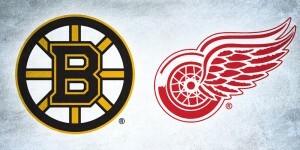 I can imagine this TB logo being a classic, centered on a sweater like the Bruins do it. However, further simplification is in order, the ice texture layer needs to be removed for a full sharp effect. 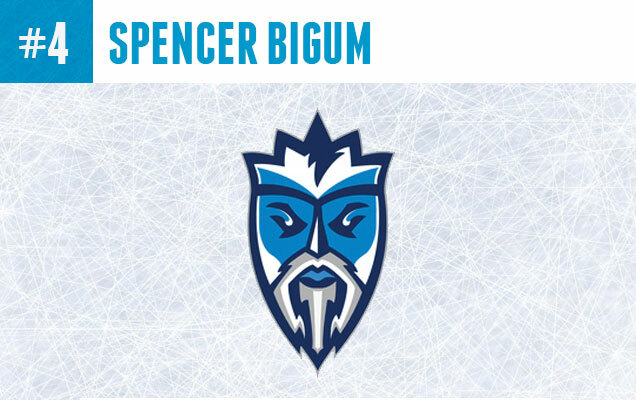 “What happens when an ancient Ice God is cast from his frosty kingdom and forced to live in Florida?” Designer Spencer Bigum takes the lightning branding concept in a unique direction that is not the obvious “Thor God of Thunder” mythology spin. I really appreciate the consideration of details put into this design, with the lightning bolt worked into the crown and the letter ‘T’ worked into the beard. Fantastic work. 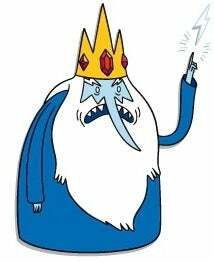 However, I can’t help but be reminded of a certain Adventure Time villain, who could too easily be used as the mascot for this concept. This is the second design from Mr. Strauss appearing on HbD, previously getting the number 3 spot on our Islanders concepts list. 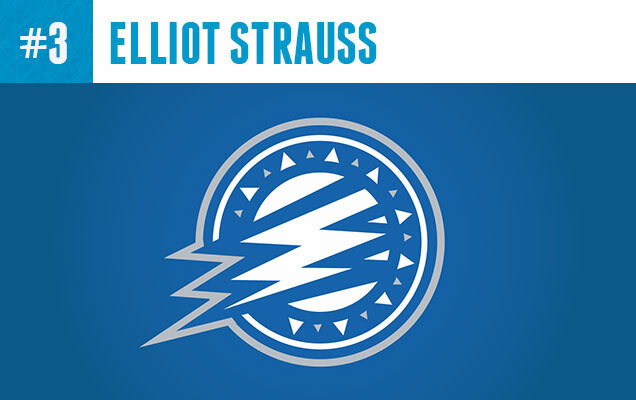 His latest concept showcases a tightly designed bolt that’s not a far cry from Tampa Bay’s current logo but gives it a decorative feel with a circular border that is stylized somewhere between Native-American and Greek art. The lighter blue color with alternating grey is really working for this logo and looks great on Strauss’ uniform concepts as well. 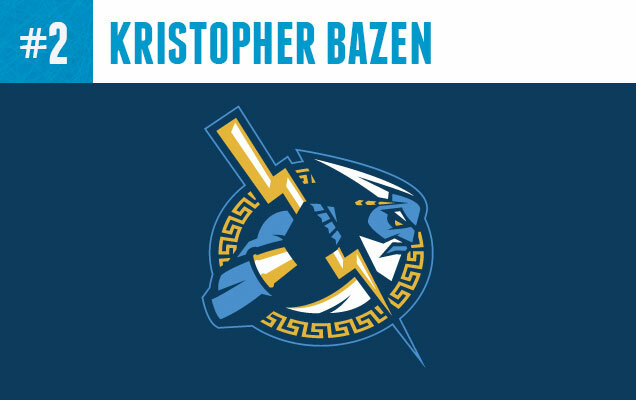 Another repeat designer here, Kris took the #1 spot on our Islanders concept list and nearly topped this list, as well, with a somewhat expected, but really sharp looking Zeus-type character and Greek architecture stylized border. 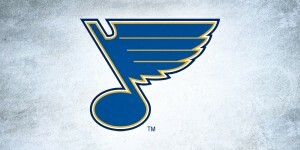 What really makes this logo interesting is the inclusion of the gold color worked into the blue and white color scheme that really makes the whole thing pop. The rendering of the figure, while still allowing the Lightning bolt element to take center stage is well executed and thoughtful and earned this logo a high spot on this list. Rogé’s Lightning concept somehow feels simple, traditional, modern and dynamic all wrapped into one. This logo doesn’t stray far from Tampa Bay’s traditional look while still being a fresh solution. 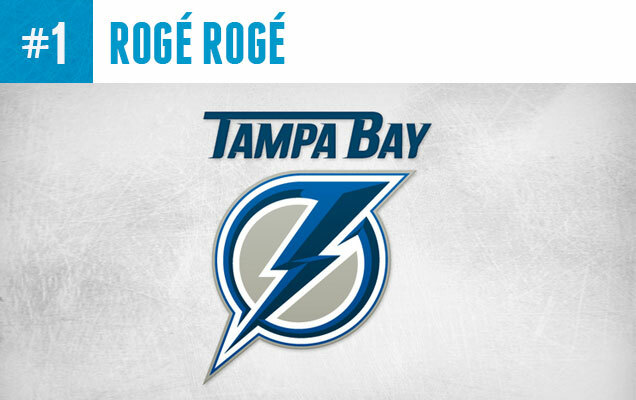 This 3D stylized lightning bolt boldy uses both dark and light blue as shadow effects on the shapes sharp edges, and most interestingly, fuses the logo’s border right into the top of the logo itself. Rogé’s various typography inclusions with the words ‘Tampa Bay’ look great with the logo and feels like a full branding solution, which earned this concept the top spot on our list. Would love to see concepts for the Vancouver Canucks. They’ve always had a logo crisis as far back as I could remember. While the current orca and stick in the rink are ‘okay’ in terms of aesthetics, neither is iconic enough to stand the test of time. 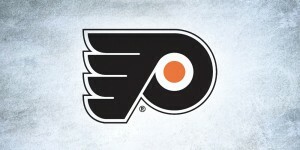 Further, the current logos do not convey a sense of strength and stability, something a sports team clearly needs. Isn’t that circular border supposed to be the sun? You know, “sunshine state”, and all?